Day 27 of 365, a photo by Gordon McKinlay on Flickr. I was working late tonight. 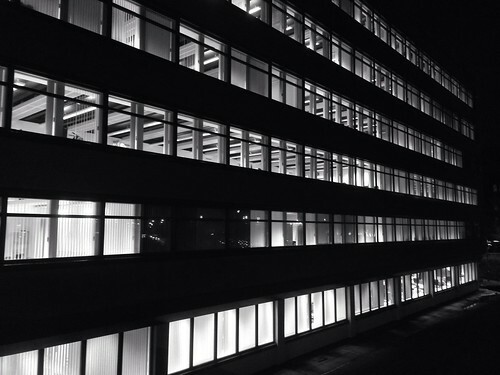 As I was leaving the office to go to an evening meeting I was struck by the pattern of the lines of lights of the office window. This photo was taken with my iPhone 5S and eddied using Snapseed before uploading to Flickr. This entry was posted in Professional on 28 January, 2014 by Gordon McKinlay.